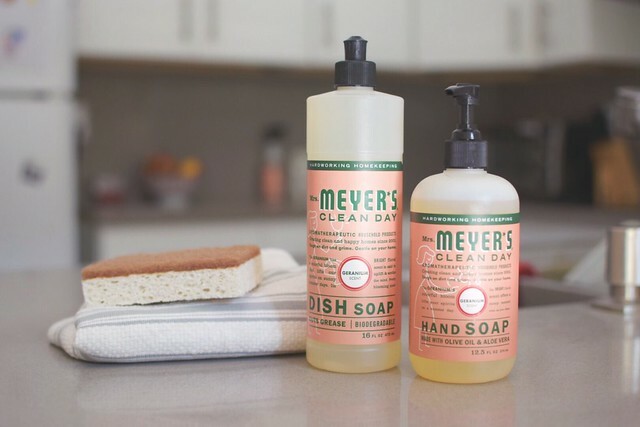 To those of you who are unfamiliar with Grove Collaborative, they're a company that delivers natural cleaning, beauty, home and baby products to your door every month. I've been a customer for what feels like ages now, and I continue ordering from them nearly every month. They consistently send out emails with additional promotions or discounts on products, so I definitely see a value in remaining a customer! They also have excellent customer service, which is always something that makes me happy. You can choose from a variety of scents before you check out, if geranium isn't your jam. (I personally recommend the basil scent—it's my favorite.) Also, I must say, I have a small collection of those kitchen towels and use them as hand towels in our bathrooms and absolutely adore them. As for the VIP membership, it guarantees free shipping on every order, extra freebies several times a year, and access to special discounts and promotions. — Answer a few questions to help customize your first order with items you may enjoy (this only takes a few seconds). — Fill your basket with at least $20 of products and the four products mentioned in this post will be completely free (be sure to choose which scents you'd prefer!) and you'll receive free shipping. — Finish and pay and look forward to your first box o' goodness. Pssst! Are you already a customer? 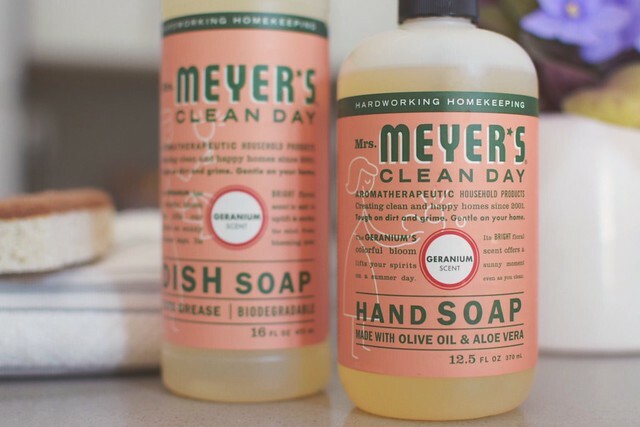 You can click here to add one Mrs. Meyer's hand soap to your next order, absolutely free. This offer is good through Sunday, February 12th. Be sure to order this weekend if you want to take advantage of the free products! If you end up trying anything fantastic, let me know, because I love adding new things to my monthly shipments. I love Grove.Co... thanks for sharing this with us (again!). I just want to let you know, the link for exisiting customers doesn't seem to work - I don't know if I should contact them about it or if this is something you have to do.